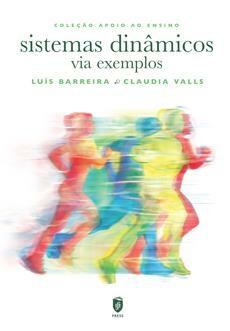 Luís Barreira and Claudia Valls have published Sistemas Dinâmicos via exemplos though ISTPRESS. This is a large collection of problems, with detailed solutions, dealing with the core theory of dynamical systems. It can be used as a complement to a main text on the subject, in particular with the authors’ Sistemas Dinâmicos, uma introdução. The 2018 Research Report has been published. The UT Austin | Portugal CoLab Program in Applied Mathematics has been running for 10 years now. It has been remarkably successful in promoting research collaboration and providing mobility opportunities for faculty members, as well as in hosting doctoral and post-doctoral students, especially in the field of applied PDEs. The meeting Advances in Applied Mathematical Analysis and Numerical Methods: Ten Years of CoLab brings together many of the researchers who have been directly or indirectly involved in the program, to report on recent achievements while paving the way for future collaborations. Topics covered range from the analysis of PDEs to more computational aspects and applications in Science and Engineering. See also the News Archive.